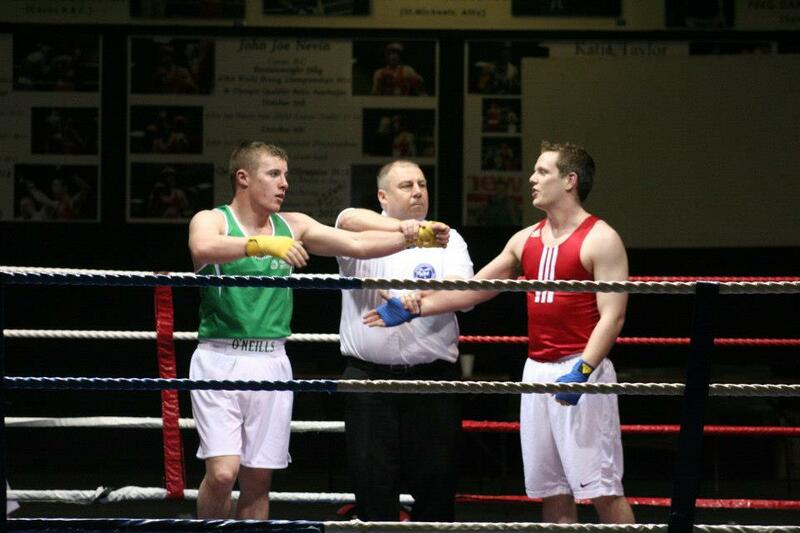 A great night of boxing took place at the National Boxing Stadium, Dublin as the IATBA hosted the Defence Forces. 12 contests were up for decision, in what is hoped will be an annual match in the future. A range of experience categories were on show, from Novice right up to Elite level. Both sides were evenly matched in some keenly contested bouts, but at the end of the night, the Defence Forces shaded the tie on a 7-5 score line. The IATBA team had the better of the early exchanges with wins for Fionnbarr Thompson, Dmitri Markovskij, S. Murphy, Mark Kirwan and Lee Boyd. Kirwan’s victory came at the expense of Alan Dowling, a former club captain of the UCC boxing club. The Defence Forces team fought their way back into the tie with wins for C. Rafferty, John Joyce, Ian Joyce and Robert Carty. The penultimate contest saw Belfast’s Michael Bustard face talented Galway boxer Brian Brosnan, who was also the 2011 WAKO Kickboxing World Champion. There was nothing between the boxers in the first round before Brosnan caught Bustard with a big body shot. He couldn’t recover in time and the referee stopped the contest, giving the Defences Forces the lead for the first time in the match, at 6-5. In the final bout of the night, former National U-21 Champion, Martin Wall (DIT) faced current National Youths Champion, David Roche (Riverstown/Defence Forces). The contest was only hotting up, with the team match in the balance, when in the second round; Wall suffered a cut close to his eye forcing the referee to halt the contest. Roche’s win secured the match for the Defence Forces on a 7-5 score line. The organizing committee of the IATBA would like to thank Steven Kelly, Martin Fennessy , Marty O’Neill and Dermot McDermott for refereeing. Our appreciation is also extended towards Mike Myers, David Molloy, Bob Conroy and Brian Barry for judging, and to Peter O’Donnell, PRO Donegal County Board, who was the M.C. for the event.